A classic prank! Just wind it up and place on your finger! 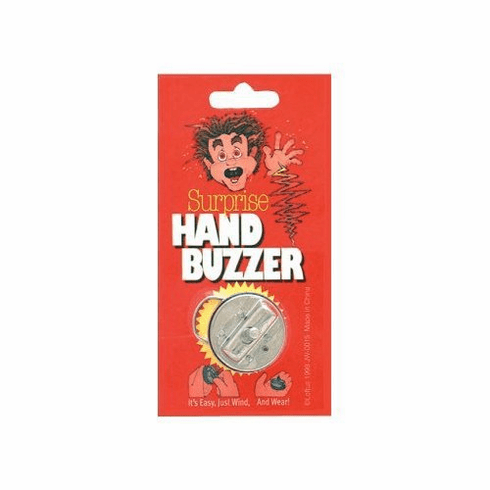 When you go up to shake someone's hand they'll be buzzed!